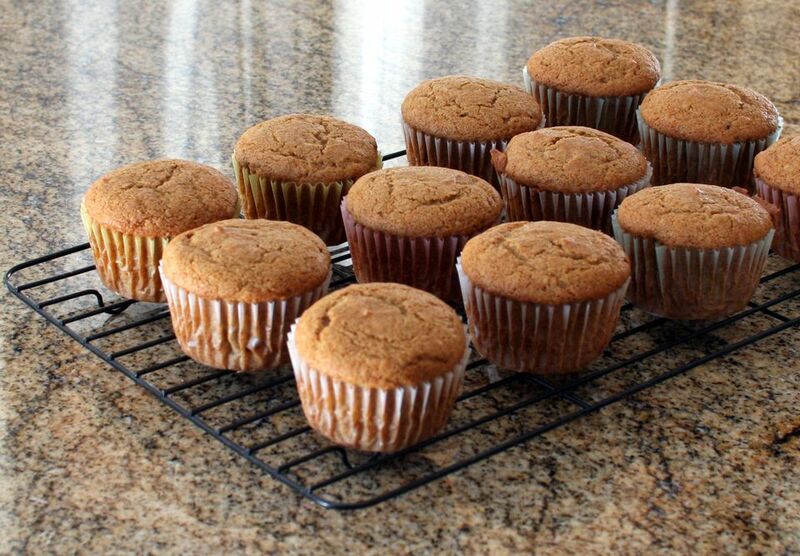 Peanut butter cupcakes are super easy to make with a cake mix, ready-to-spread frosting, and peanut butter. You'll be amazed by how little time it takes to put the dessert together, and your guests will appreciate both the delicious food and the speedy delivery. Prepare cake mix according to package directions, adding the 1/2 cup of peanut butter along with the eggs and water. Spoon batter into muffin pans lined with baking cups, filling each about 2/3 full. Bake for 20 to 25 minutes, or until cake bounces back when touched lightly. Place cupcakes on a rack to cool. Blend ready-to-spread frosting with the 1/3 cup peanut butter. Frost cooled cupcakes.